If you drive cautiously, most likely you drive defensively, you keep your eyes on the road and you maintain your distance from dangerous motorists. Unfortunately, accidents can happen even to the most cautious drivers. Sometimes, road accidents occur because of a poor road construction. There are lots of road conditions that can potentially cause you to lose control of your car and driving. Whether you’re commuting into Sacramento or headed out of Folsom on vacation, you expect the roads you drive on to be safe and well maintained. Unfortunately, there are times when conditions on the road just aren’t ideal. Road hazards make driving stressful, and they can also lead to serious accidents. If you’ve recently been involved in an accident caused by a road hazard, it’s important to understand what happens now. Damaged or missing road signs. Standing snow, ice or salt that hasn’t been plowed. Uneven shoulders and improperly graded curves. A lack of traffic signals. Visual obstructions such as untrimmed bushes. A lack of adequate nighttime lighting. Low bridges or incorrect overhead clearance signs. Improper application of road surfacing or construction materials. Poorly marked or unsafe work zones. 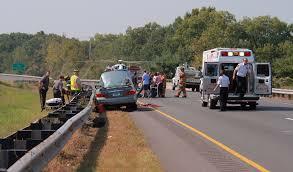 If the above or any other road hazard conditions caused you to meet an accident, you have to act fast. If not, your evidence can quickly disappear and may even jeopardize your accident case.